It is good to be back in the office (even with no phones or internet!)! I have missed you all so much! I am so appreciative of your texts, emails, cards and Facebook messages. You have encouraged me and God has used your graciousness to minister to me in ways you will never know. Thank you! You are an amazing group of fellow travelers. Thank you, too, for welcoming Carla and Jim to our congregation. Knowing you were in capable hands gave me so much peace. Travelers. I have used my time away as a pilgrimage of sorts —learning to appreciate all that has gone before and looking to what the future may hold— to leave what was known and familiar and comfortable and to venture into a new, unknown future. While there have been days of uncertainty there has been God’s even hand guiding me. While there have been lonely days yet I have not felt alone for I know God has been and continues to be with me every day. 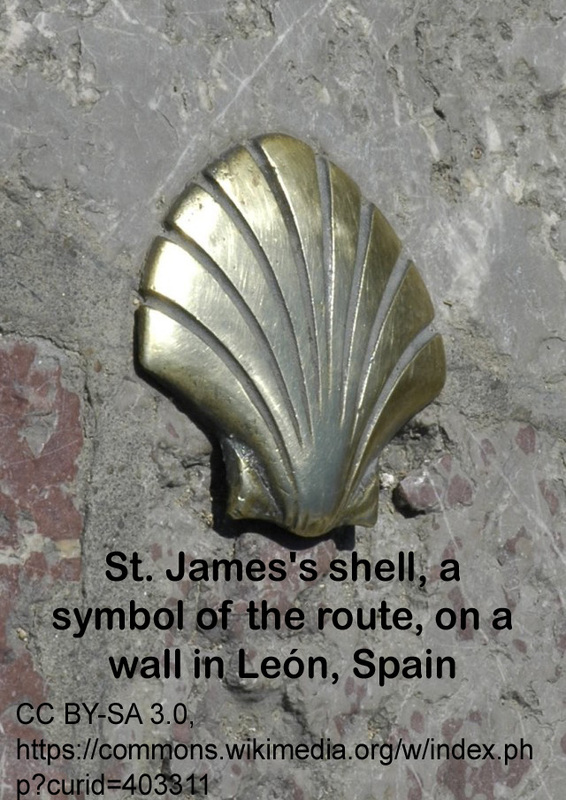 The symbol of a pilgrim on the Camino and other trails is the sea shell. We all walk our unique paths but we are all headed to the same destination – Jesus Christ. Join us as we make our pilgrimage through Lent toward the cross of Christ and then on to Resurrection! I want to thank you for your prayers for Martin, me and our family as Martin was in the hospital. His body was simply worn out and I was blessed to be with him in his last days and moments on this earth. We made the decision together that living on the vent was not living and that entering into the glory of God was far better than anything else this life could offer. I am so glad that most of you got to know Martin. He was blessed by knowing you! I continue to give thanks for our staff who have stepped up and in to fill the void of my being away. Chris and Sarah did more than I could have expected in conducting the Hanging of the Greens and Christmas Eve services. A HUGE thank you to Ann Grant and her Altar Guild for all they did behind the scenes to make sure everything came off without a hitch. Thanks to the committees that have continued their work without missing a step.